PhysioPod UK will attend The East and West Dorset Lymphoedema Support Group on Saturday 9th February 2013 to display and discuss the DEEP OSCILLATION® range of products, which are used for the care and management of Lymphoedema. SRN. MLDUK, LDT, Vodder, Leduc, Casley Smith MLD and Lymphoedema Practitioner / Bowen Therapist. BLS / MLDuk & BA Member. PhysioPod UK Limited Julie Soroczyn, Managing Director and Mary Fickling, Director. PhysioPod will discuss the benefits of adding DEEP OSCILLATION® into a maintenance programme for the self management of lymphoedema, introducing attendees who have not yet invested in a personal unit, in the merits of doing so. An opportunity to try a mini treatment and the easy use of the DEEP OSCILLATION® Personal SPORTS and the DEEP OSCILLATION® Personal AESTHETICS. Haddenham Health Care Lynn Finch, International Partnerships Manager will talk about and demonstrate their range of healthcare products which are supplied to the medical profession and lymphoedema sufferers throughout the World. Chic-Compression Nicole de Havilland, Director, will talk and show her unique range of medically designed compression arm sleeves for Lymphoedema which are available in classes 20-30 mmHg and 30-40mmHg and come in a range of patterned, plain, crystal and skin tone matches. Nicole's company is the first in the UK to import and exclusively market on behalf of USA basd manufacturer LympheDIVA's. She will also show DoveInk LLC's 'Intuition' Recovery Bra. This unique bra can be used for post operative healing following any type of Breast Surgery and has a range of compatible accessories. 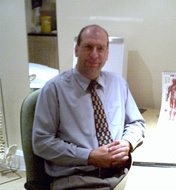 Chiropractor Dr Nick Pare CD, DC, BSc (Chiro), Bpharm (Hons), MRPharmS specialises in the treatment of diagnosed Whiplash Injuries, Sciatica, Shoulder, Arm & Back Pain, Migraine, Headaches, Neurological, Menopause, Infertility & Skin Problems. Nick is additionally qualified in medical acupuncture (dry needling) and Chinese Medicine. A welcome guest speaker at the event, Nick lectures to doctors, nurses and the public on a range of health issues locally, nationally and internationally. Now in its twenty fifth year, the Cambridge Weight Plan is a range of weight management programmes based on a combination of specially formulated products and conventional food. 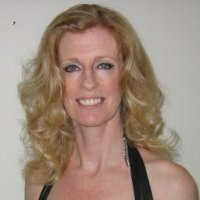 Michelle Bartlett is an accredited Independent Cambridge Weight Plan Consultant™ who will be explaining the Cambridge Weight Plan and how it works, giving practical advice about suitable weight management programmes that are based on balanced nutrition and exercise. The Cow Pub, formerly the Old Parkstone hotel, the Cow has been imaginatively renovated retaining its original features dating back to 1855. 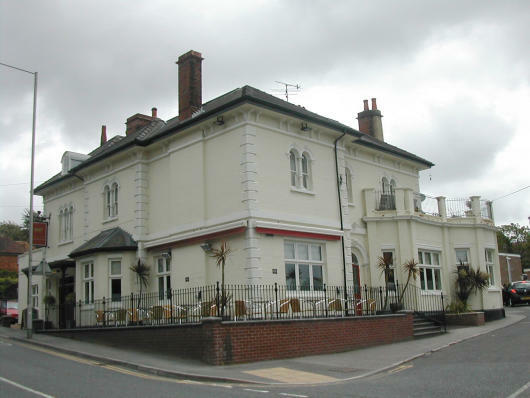 Situated in the vibrant Lower Parkstone, the Cow is the carefully chosen venue for the event. Organizer: Christine Talbot, SRN. MLDUK, LDT, Vodder, Leduc, Casley Smith MLD and Lymphoedema Practitioner / Bowen Therapist. BLS / MLDuk & BA Member. Guest Speaker: Nicole De Havilland, Director of Chic Compressions will talk about and show her products to the support group. PhysioPod® UK Limited are excited to meet with the Lipoedema Ladies at their second BIG MEET UP yearly get-together at the striking, four star Park Plaza Leeds. PhysioPod® UK Confirm Their Attendance at the 22nd International Conference on Sports Rehabilitation and Traumatology, April 20th and 21st 2013 at The Queen Elizabeth II Conference Centre, London. PhysioPod™ UK Ltd are delighted to confirm that they will be exhibiting DEEP OSCILLATION® Therapy Active Healing for Fast Regeneration at the 22nd International Conference on Sports Rehabilitation and Traumatology. This event is widely regarded as the largest Football Medicine conference in the world and will focus on “Football Medicine Strategies for Muscle and Tendon Injuries”.